What’s more, we handle every aspect of your promotional initiative, from the preliminary strategic analysis to the final calculation of your ROI. Live events, sponsorships, sports marketing, interactive incentives and sweepstakes are some of the promotional tools we may use to help our clients. Our goal is to create engagement and motivate customers. Live Experiential Events that combine in-person and digital strategies to maximum effect. National and Global Road Shows designed to drive consumer engagement, brand loyalty and new sales. Product Launches that stimulate sales, press coverage and social sharing. Public Exhibitions and Trade Shows backed by more than a century’s worth of event management experience. Guerilla Marketing dreamed up by our award-winning team of experience designers, programmers and creative strategists. Corporate Hospitality with sophisticated environments and entertainment to foster qualified leads. Passionate Brand Ambassadors who actively seek and build relationships with consumers. GPJ often provides gaming and sweepstakes marketing services for promotional campaigns. It’s a strategic decision we make with each client on an individual basis. Targeted Sweepstakes that use live and digital promotion to deliver your brand message. Online and Device-Driven Experiences to encourage social sharing and long-term engagement. Video and Online Game Marketing that immerses users in imaginative brand environments. So what’s the difference between typical promotional marketing and the GPJ approach? 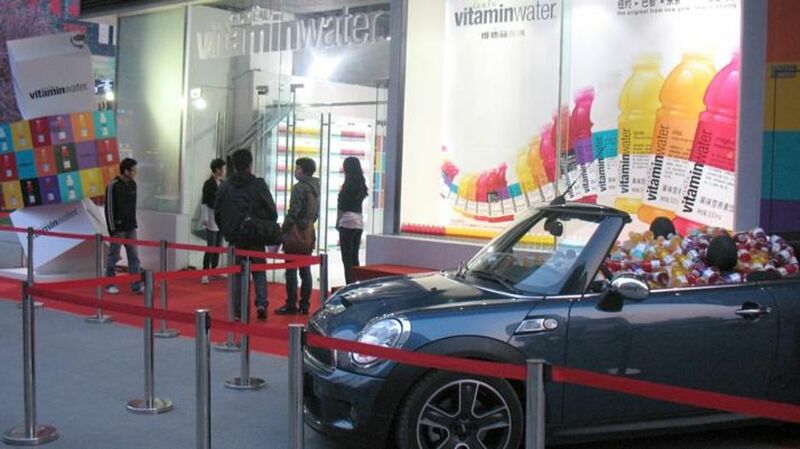 If promotional events generate interest, GPJ promotional experiences generate action. Passive consumers become vocal brand advocates. Where once there was faint name recognition, there is now a deep and trusted brand relationship. Action is what our clients tell us makes the difference. Electrify Audiences and Consumers: In a world of instant communication, making a statement has never been more important. Which explains why our creative strategists, programmers, architects, digital experts and event planners put so much effort into that crucial first impression. Stimulate Buzz and Social Sharing: We ask ourselves a lot of questions when we’re planning your promotional marketing. What will people want to talk about with their friends? How will they want to share it? How many ways can we give them to spread the word? Then we answer them with multiple touch points and innovative sharing tools. Integrate Online, Device-Driven and Virtual Technologies: Touch screens, motion sensors, online treasure hunts, virtual realities – wherever your audience is, and whatever they’re experiencing, they always remain in your branded environment. And connected with your message. Generate Qualified Leads: It’s something we’ve seen proved time and again with our clients. Strategic promotional marketing that’s focused on engagement generates high-value leads. Reduce Overall Marketing Costs: GPJ is a full-service global event agency, which means we keep everything in-house and under our control. Each element in your promotional marketing portfolio, from event logistics to design, is streamlined to reduce your overall budget. Produce Measurable ROI: Whether it’s a 50% increase in new product sales or a doubling of attendee numbers, we’re here to ensure your promotional marketing efforts see a noticeable ROI. Tracking and post-campaign analysis plays an integral part in our promotional marketing services.